Devotees of the Forest Floor - 24" x 36" - oil on oak plywood. This is studio still life with a terrarium of different mosses and stuff from the forest floor. 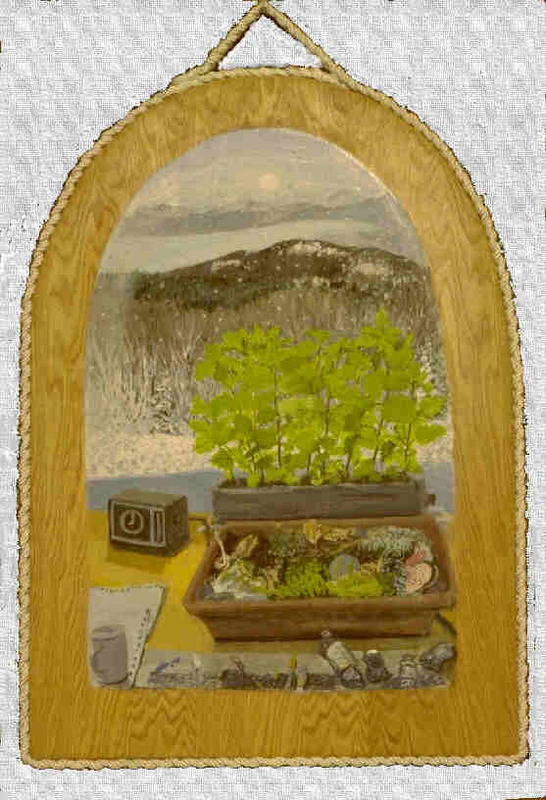 Behind the terrarium are growing nettles and a winter landscape with wooded hills out the window. The "devotees" are clay faces made by Sarah that I set in the terrarium.